Dr. Jackie Batey is the founder of Damp Flat Books, where she makes limited-edition, hand-made artist books and zines. Usually run in editions of 10 to 50 Jackie uses her own photography, illustration and hand-drawn type to make wonderful pieces which she also designs, prints and binds. Jackie also teaches illustration at the University of Portsmouth where she curates an art-zine collection, Zineopolis. One of Jackie's artist books, Running A Secret Society No 20, caught our eye and really resonated with us as we were planning the Message In A Bottle show, so we invited her to be our featured artist! Jackie is a super interesting person so we wanted to get an opportunity to record a podcast together, and it's a fascinating listen! 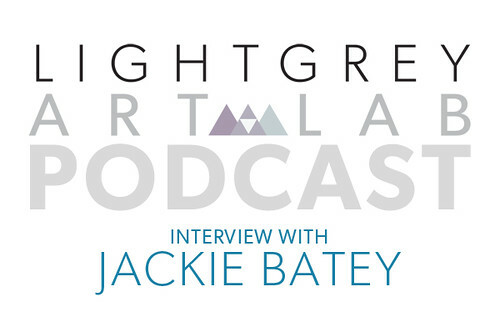 Synopsis: Lindsay interviews Jackie Batey, who is the featured artist in Light Grey Art Lab's January, 2013 show, Message In A Bottle. Thanks to Jackie for participating in the Message In A Bottle show and finding some time to chat with us! You can find out what Jackie is up to on the Damp Flat blog!